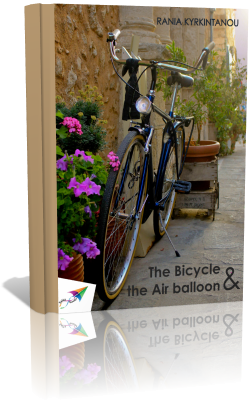 An old bike and an air balloon, strangers to each other, take life into their own hands and decide to discover the world. They each travel their own way and discover different things. However, one unforeseen event forces the bicycle to stop its course. It all seems like its journey has come to an end, until it meets the air balloon. This book has been flying on the Internet since November 2014.